The Food Pantry Ministry (FPM) of ISBC will reopen on Tuesday, March 3 after a period of reorganization. JeriLynn Stevens will be the FPM Administrator and Elzie Gray will be the FPM Outreach Administrator. We will be open on Feb 24 for pre-registration. Participants must provide a positive ID for each household member and proof of residence in the 74467 ZIP code; no exceptions. No food will be provided on Feb 24. We will be limiting each FPM day to the first 60 families. Doors will open each Tuesday at 9 am and will close at noon or when we serve the first 60 families. Our desire is to feed the soul as well as the body. Alan Feinstein has generously offered to distribute one million dollars across America to help with hunger issues. For the past two years, the Food Pantry Ministry has received a proportional contribution to assist our ministry. Here’s how you can help. Mr. Feinstein will match contributions made to our food pantry in food or money during the month of March. At the end of March, we will apply for matching funds from the Feinstein foundation. It will be awarded proportionately in competition with other food banks across America. Bring your contributions of canned goods or other groceries to our food pantry or make your checks payable to ISBC Food Pantry Ministry. The Food Pantry Ministry has need of a refrigerator. If someone in the Wagoner area has one in good working order that they would donate, we can arrange to come and pick it up. We can provide a donation receipt for tax purposes if needed. Please call the church office at 918-485-5115. Thanks! Effective May 3rd, the ISBC Food Pantry Ministry will provide assistance on Tuesday’s only, from 9:00 am until noon. We regret any inconvenience this may cause to those who may come on a Thursday. fpm (at) immanuelsouthern dot com. Please format the address before using or use this link. 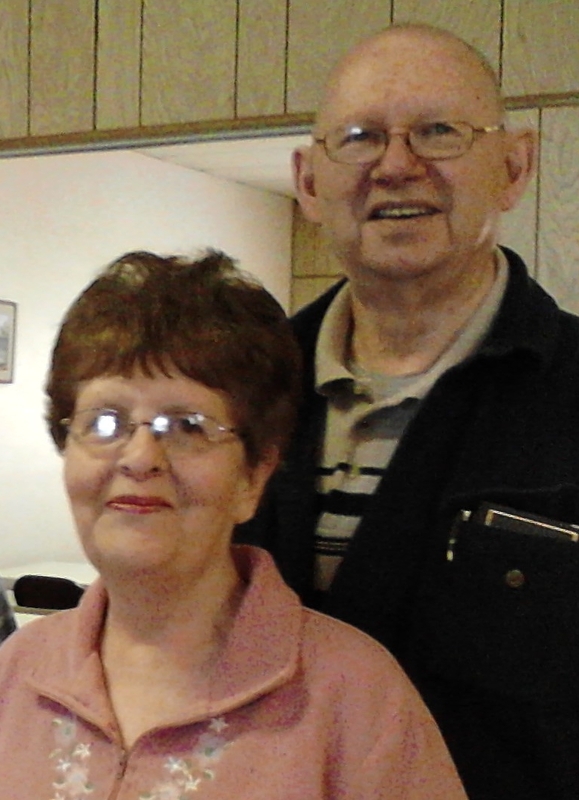 Charles and Linda Cameron were appointed Food Pantry Co-Directors by unanimous vote at the April 2011 Business Meeting. The Camerons will succeed Dee Berryhill who resigned after more than two years of service. The Food Pantry Ministry will have a meeting on Tuesday, April 12 at noon to discuss focus, values, and the future of the ministry. The Food Pantry Ministry will be closed all week this week and will reopen on February 15. We regret any inconvenience caused by the closure. Dee Berryhill, Food Pantry Ministry Team Leader, reports that, as of today, the ministry has provided 11,880 meals to folks right here in Wagoner, OK! What a wonderful statistic! Praise God Who has provided the resources to meet these needs!